Sportswear is considered to be a niche segment of the retail industry. Sportswear is considered to be a niche segment of the retail industry. Sportswear retail market in India is approximately worth Rs 2,500 crore, of which 45 per cent is the sports apparel market and 55 per cent is the sports footwear market. The anticipated growth rate is 13 per cent. According to an ICRIER report, the size of the domestic market is small because the Indian society is education-oriented and sports are treated as a distraction from education. Sports are still not treated as a means of livelihood; instead, it is still considered a source of entertainment. This has led to low sports participation levels. There are other barriers as well, such as the non-availability of infrastructure and the inability to pay for facilities and buy sports products. Of late, Indians have started spending more on sports goods. 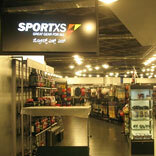 Indian corporates, who have ventured into retail in the recent years, have also diversified into sports retail. Although sports are still treated as a recreational activity, recreational consumption in India is growing. This segment is projected to grow at the rate of 8.9 per cent per annum and looking at how the figure has moved from $1 billion in 2005, the target of $6 billion in 2025 seems highly realistic. Industry insiders feel that with global integration, the workplace culture is changing and with the culture of many Information Technology (IT) and multinational companies having in-house gymnasiums or sponsoring their employees for fitness activities like gymnasiums, golf and yoga, the factors for growth are obvious. Also, the fact that India is hosting a series of international sports events results in a boost to the industry, thereby increasing sports awareness. In addition to this, sports promotion, training and infrastructure and exports of sports goods are now focus areas for the Indian government. The likes of VIVOBAREFOOT brought in by High Line Retail are, in fact, targeting a ‘sense with style’ approach to tap into the aspirational consumer base. According to health and brand experts, the technicality of a product sometimes supersedes the styling and functionality, which causes imbalance with the brand’s intent and consumer’s perception. However, now, with the recent entrants, the balance has somewhat been restored. Luca Gios, Director- International Business, Kelme of Spain, says “India is one of the interesting markets for brands due to the increasing demand and the rise in the number of the middle class population. We distinguish ourselves with performance; our roots are in sports”. “The Indian consumer’s international travel entails understanding the culture and sightseeing more than shopping as compared to earlier times, when the Indian consumer travelled overseas, one of the main highlights was shopping,” says Sharath Raju, Founder, High Line Retail. Retail has its share of players in this segment with Planet Sports, SportsXS and more. Drivers: Increased spending power; Increase in number of sports events; Growing health & fitness awareness; Unsaturated market; Increasing organised retail space. Challenges: Low sports participation rate; Competition from unorganised players; Poor sports infrastructure; Imposition of excise duty. Trends: Players sponsoring major sports teams and events; Tie-ups with renowned Indian designers; Players roping in celebrities for brand endorsements; Sportswear being one of the niche sections of the retail industry is witnessing steady growth; In India, sports is mostly treated as a recreational activity; Organised sportswear industry is dominated by major international brands – these players have outsourced a considerable part of their production to Indian manufacturers; Sportswear includes sports apparel, footwear and accessories; Sports shoes account for a major sales chunk of the total sports products market. With further support from the government, the scope for growth in the sports sector is definite, just that the policies need fine tuning, which will equip the retailer to operate in a harmonious manner.